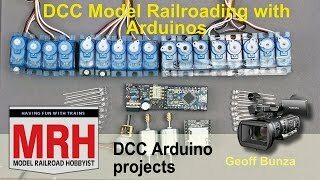 – Geoff Bunza demonstrates some uses of the Arduino for DCC projects – all the details are in the FREE March 2017 MRH magazine. Get even more great FREE how-tos for model railroading on the Model Railroad Hobbyist website. This video is just part of the TOTALLY FREE March 2017 issue of Model Railroad Hobbyist magazine.